Asking for your views on today's news stories from 12pm. Call 0800 678 3434 or text 81333 (starting with Notts). 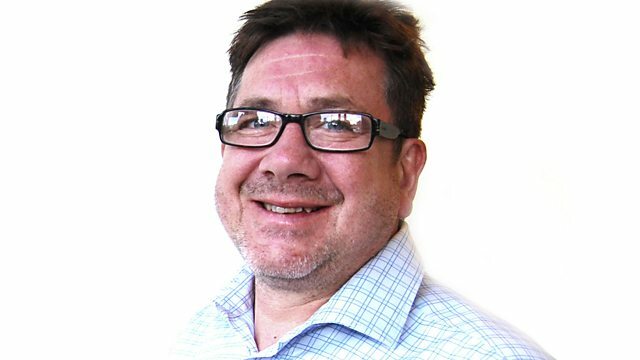 From 2pm, guests reflect the best of Nottinghamshire life. One Woman, The Ultimate Collection. Dancing In The Street, Rock & Roll Hist. Here Comes Summer Rediscover The 50s&60s. Now That's What I Call Music 1985. The Very Best Of Ben.e.king & The Drifte. Greatest Hits Of The Eighties. Elvis Presley, All Time Greatest Hits. Mike & The Mechanics - Hits. Lennon Legend, Very Best Of John Lennon. Coldplay - Viva La Vida (single). Golden Years Of The 60's.